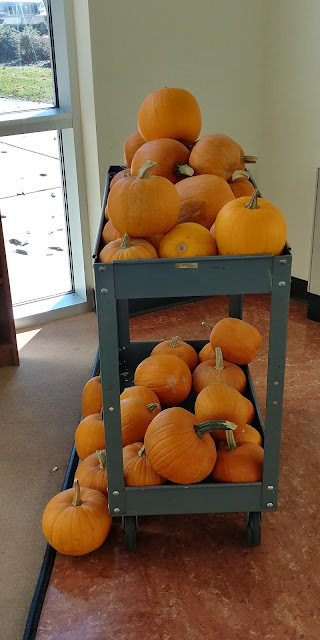 Mesa County Public Health staff member Lisa Synder harvested and donated all of these pumpkins for foster children participating in Trick-or-Treat-Street, which will be hosted at the Mesa County Community Services Building, 510 29 1/2 Road in Grand Junction. 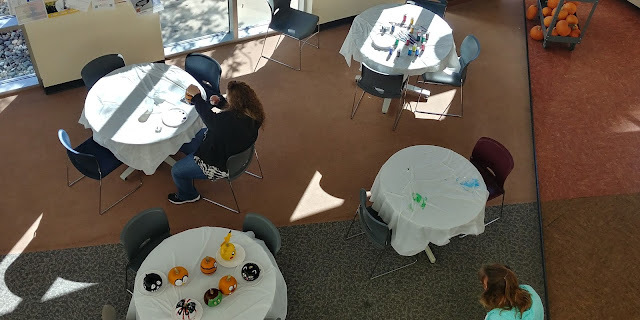 Mesa County employees decorate pumpkins to give out to foster children this Halloween. Public Health folks getting their scary on! Monsters, Inc. was well represented! 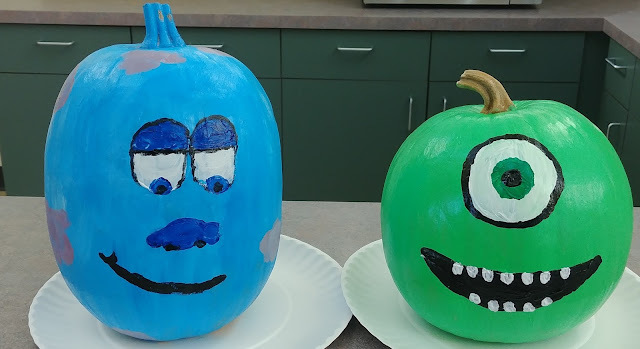 From left to right: James P. Sullivan aka Sulley and Mike Wazowki. 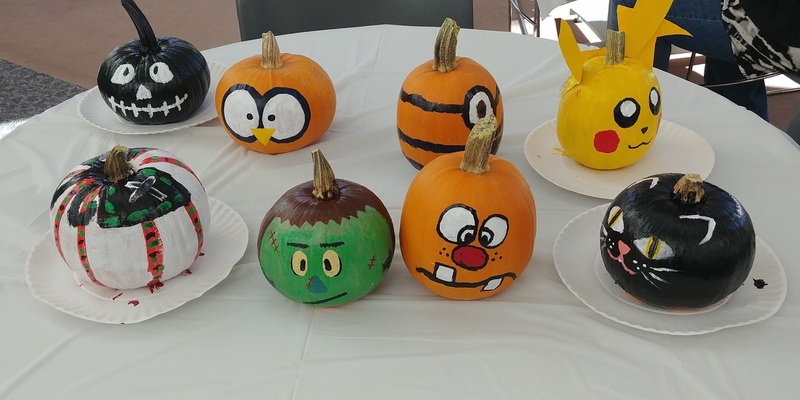 All pumpkins will be donated to foster children participating in Trick-or-Treat-Street. Tip-A-Cop: Mesa County Sheriff’s Office deputies put on aprons at the Grand Junction Red Robin to serve and raise money for Special Olympics Colorado. 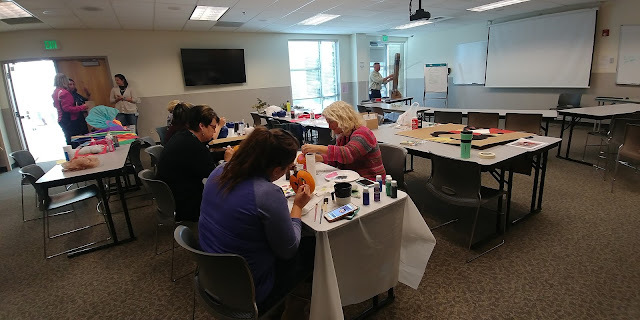 Mesa County Sheriff's Office deputies work hard to earn tips to benefit athlete services and programs offered by Special Olympics Colorado. 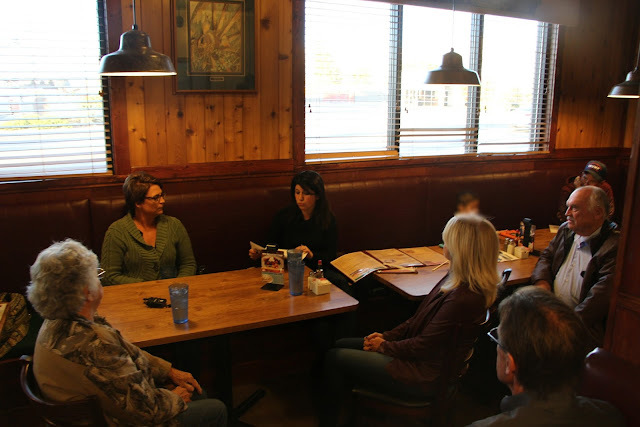 Tip-A-Cop fundraising events benefit athletes by providing services and programs offered by Special Olympics Colorado. 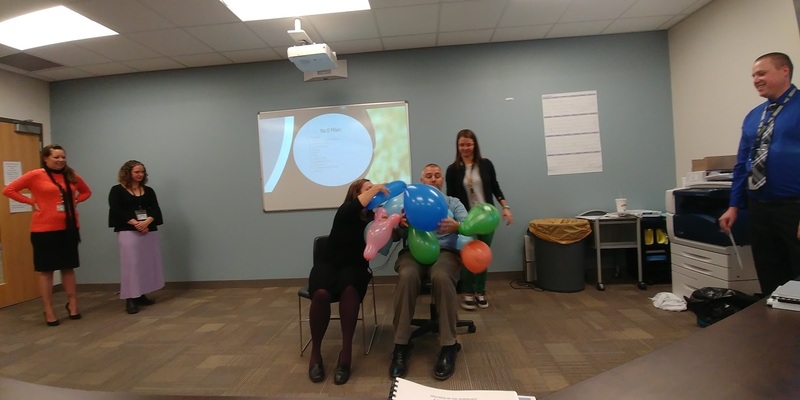 Mesa County Sheriff’s Office is committed to raising funds to provide sports training and competition for children and adults with intellectual disabilities. 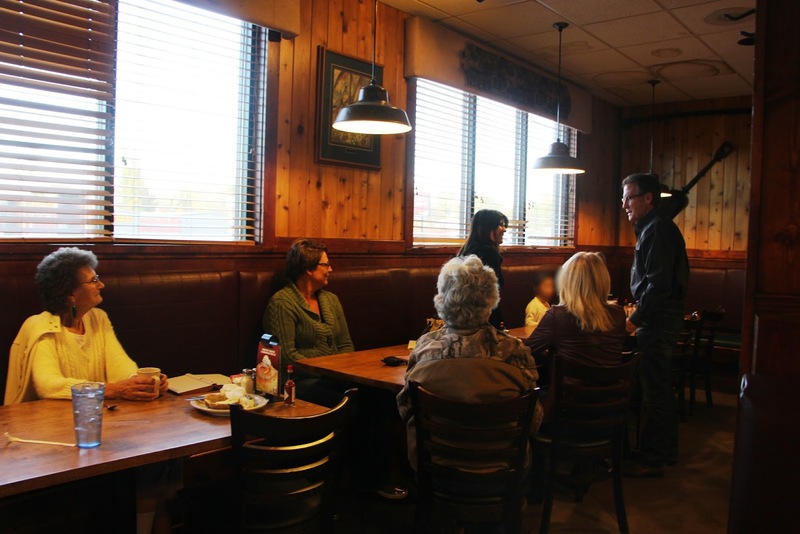 Tip-A-Cop events feature Sheriff’s Office personnel joining the wait staff to serve customers, with tips going to Special Olympics. Deputies and colleagues raised tip money at Red Robin to benefit Special Olympics Colorado. Together with Special Olympics Colorado athletes, law enforcement officials worked to earn tips at Red Robin. The Mesa County Sheriff's Office has the second highest Tip-A-Cop fundraiser in entire the state! This year the Mesa County Sheriff's Office raised $5,570.11 for Special Olympics Colorado during Tip-A-Cop at Red Robin Saturday. MCPH Executive Director Jeff Kuhr presents MCPH Child Care Nurse Consultant Heidi Belatti with the Spotlight on Excellence award for her great work at Public Health. 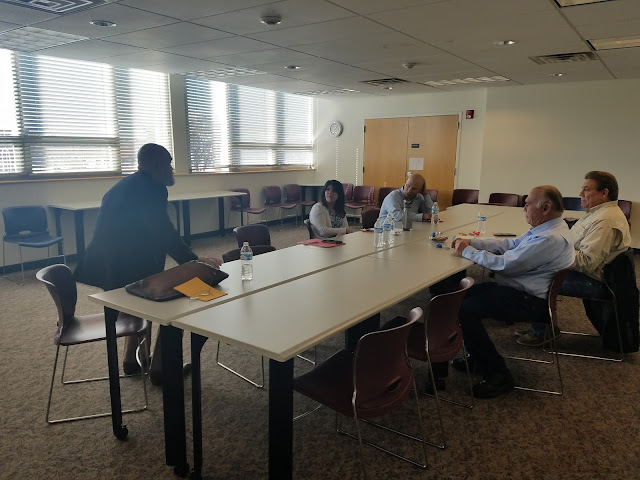 MCPH Executive Director Jeff Kuhr presents MCPH Health Inspector Regina Clark with the Spotlight on Excellence award for her great work at Public Health. New and existing Partnership for Food Safety program partners, pictured on the stairwell, were celebrated for their excellence and commitment to food safety Tuesday. Front row left to right: MCPH Consumer Protection Program Manager Monique Mull, Health Inspectors Sarah Schultz, Heather Nara, Joy Works and Regina Clark. 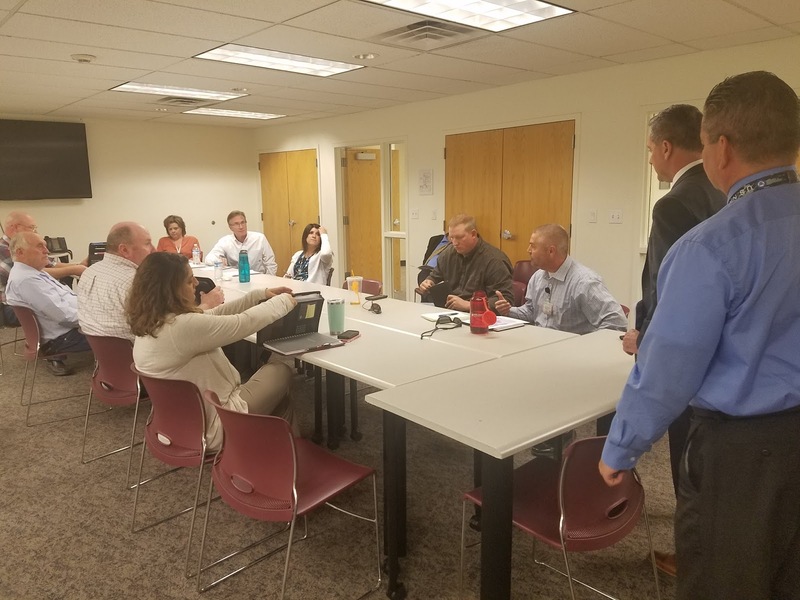 Mesa County Central Services Safety Team discusses fire extinguisher training and a current, ongoing mandatory active shooter training for MCCS employees at their monthly meeting. The Old Mesa County Courthouse, 544 Rood Ave., got a new backup generator installed this week. A crane sets the new generator in place on the west side of the old courthouse. 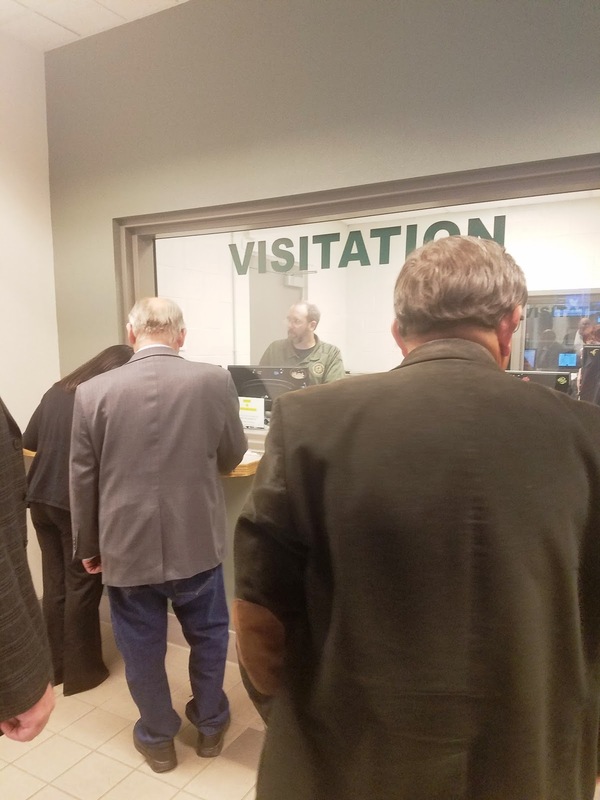 The Mesa County Commissioners went to jail, but only for a visit. 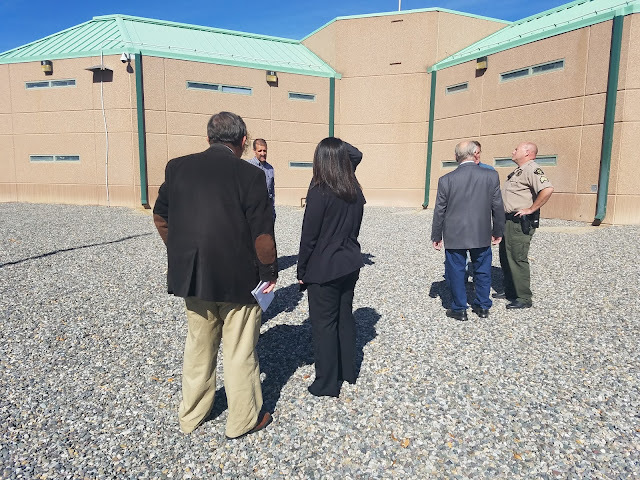 Commissioners completed an annual inspection of the Mesa County Jail Monday (Oct. 23), touring the facility with Capt. Art Smith and other county officials. The tour included the pods in the jail, the security used to transport inmates to court and the booking area. Commissioners sign in before they enter the Mesa County Jail. Mesa County Commissioner Rose Pugliese, center, and Commissioner Scott McInnis learn about inmate visitation. 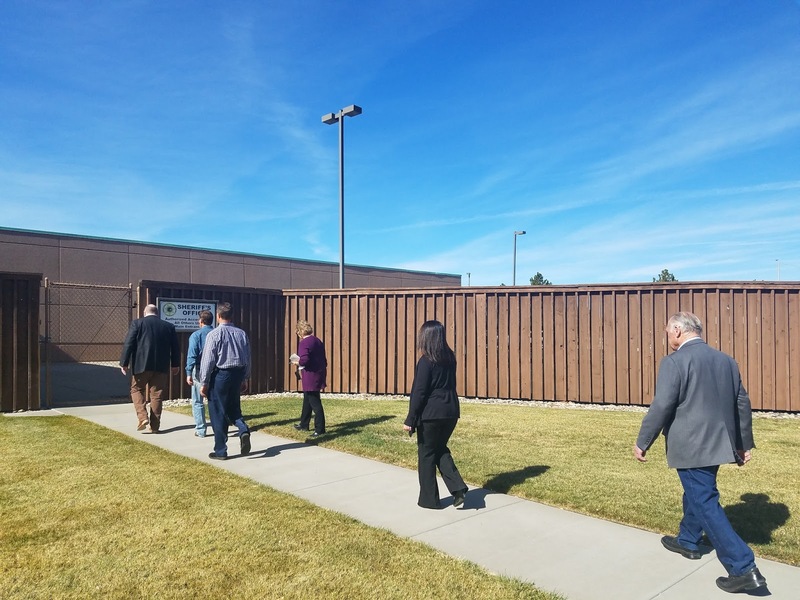 Mesa County Commissioners tour the Mesa County Jail. 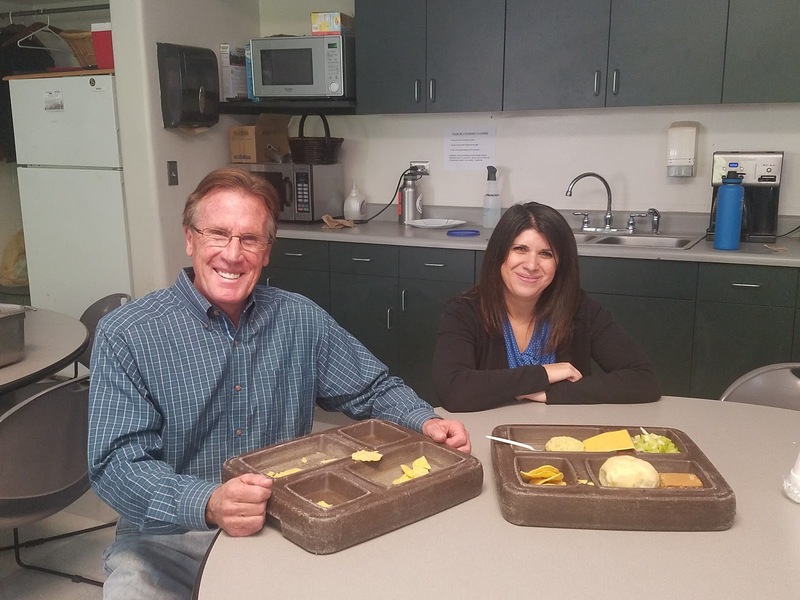 Mesa County Commissioners Scott McInnis and Rose Pugliese sample the lunch at the jail to make sure it is healthy and nutritious. 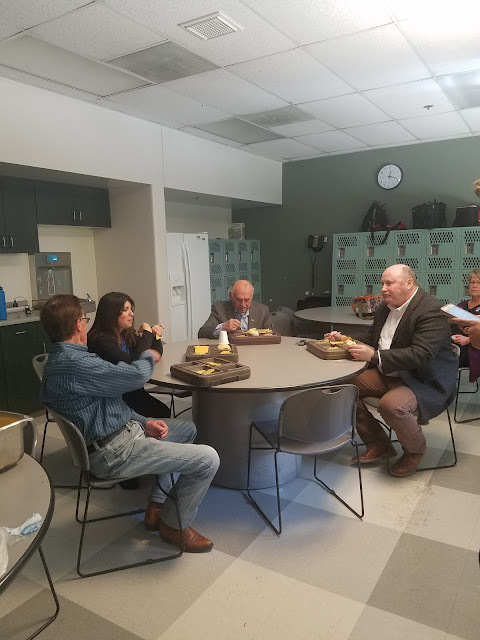 Commissioners and County Attorney discuss the quality of the meal. 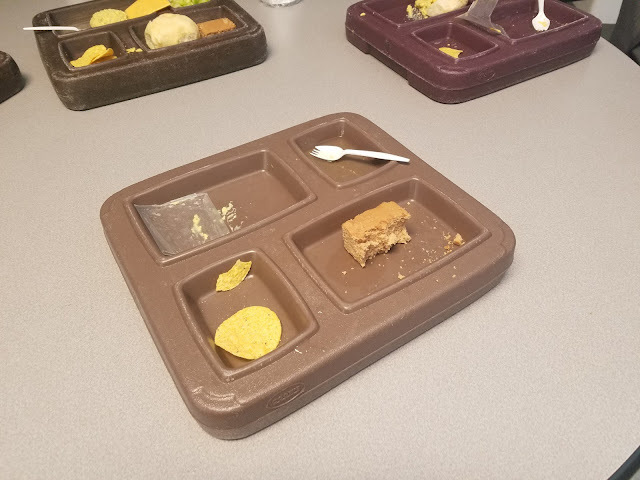 The jail spends approximately $1.30 per meal. Prices are expected to go up a few cents for the upcoming year. 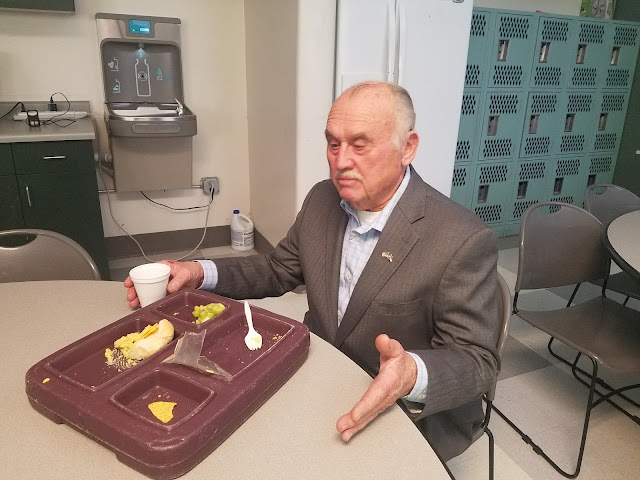 Mesa County Commissioner Justman states the meal was well-balanced. The Mesa County Animal Services building is nearing remodel completion. Construction crews began renovations in early May 2017 and are on track. Pets at Animal Services will soon be moved out of the temporary tent facility and into the renovated facility. Mesa County Animal Services Technician Barb Cutunilli makes sure the pets that come through the facility are well taken care of. Mesa County Animal Services Manager Doug visits with Priscilla, a timid dog. 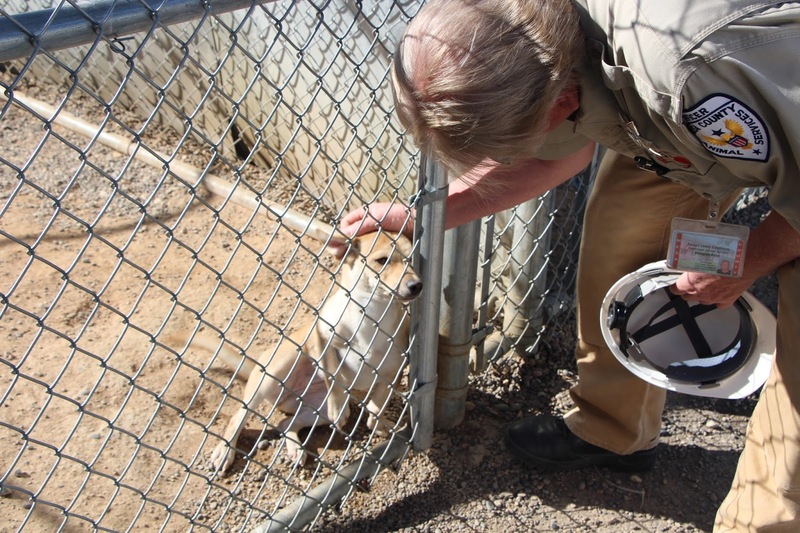 Mesa County Animal Services Manager Doug pets one of the new residents at the facility. The sweet, six-month-old pup is eager to play. 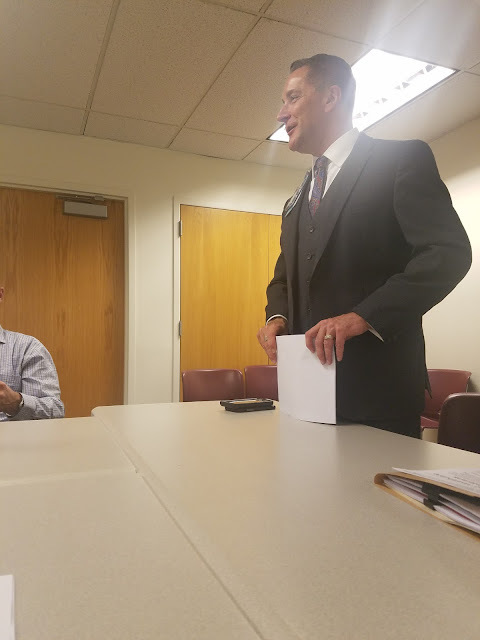 Michael T. Kilmer, the new director of the Grand Junction Veterans Affairs Medical Center, stopped by to introduce himself to the Mesa County Commissioners Tuesday. 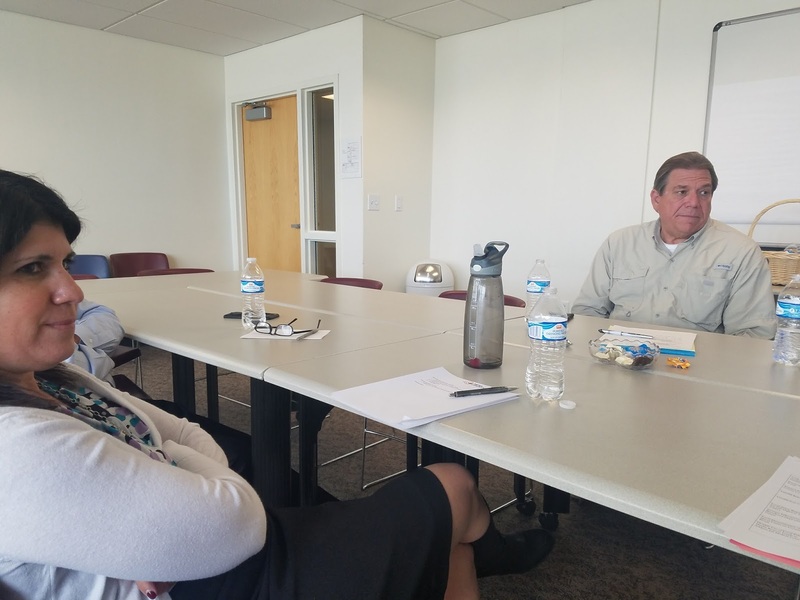 Grand Junction VA Director Michael Kilmer shares his goals, priorities and vision for collaboration with Mesa County. 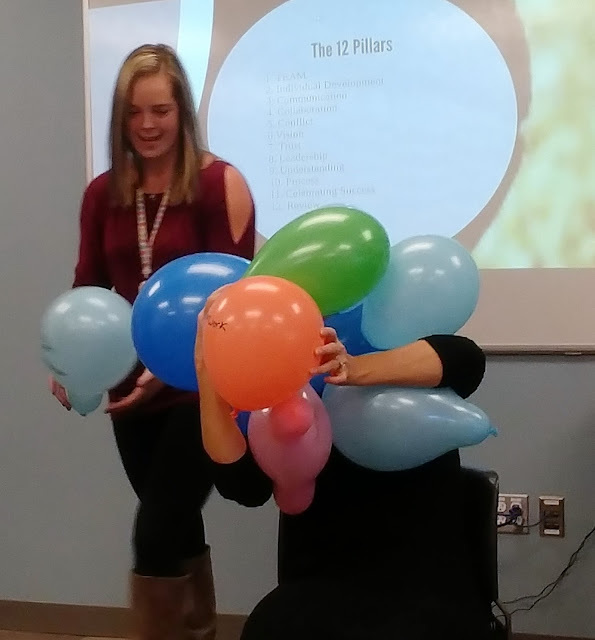 Child Welfare Division Director Kari Dagget gets loaded up with workday stress balloons by Amanda Cooper from Child Welfare. Kari gets to unload her stress on to Executive Director Tracey Garchar while DHS Leadership Institute members Katie Mountain, Renee Patterson, Kirra More and Michael Blevins enjoy the show they orchestrated. 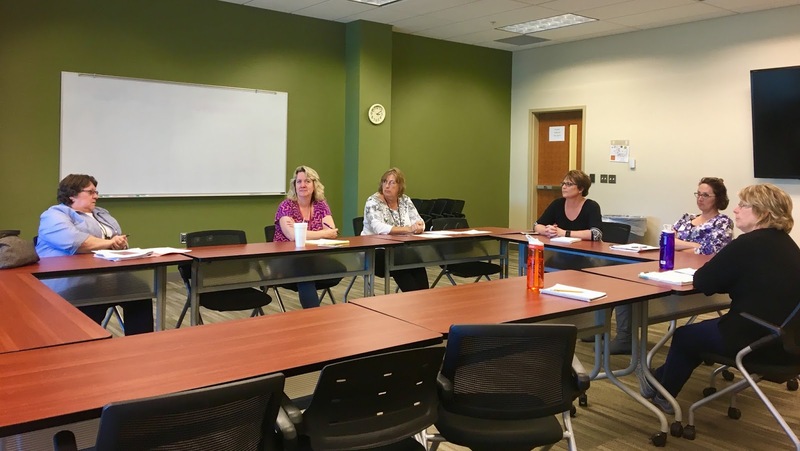 Mesa County Commissioners meet with state officials to discuss 2018 legislation. Clockwise: Representative Thurlow, Senator Ray Scott, Commissioner John Justman, Representative Yeulin Willett, and Commissioner Rose Pugliese. Colorado Senator Ray Scott from the 7th District, center, gives the Mesa County Commissioners a legislative update. His district encompasses Mesa County. Mesa County Commissioner Rose Pugliese talks to Western Slope legislators about issues and policy coming down the pike for 2018. 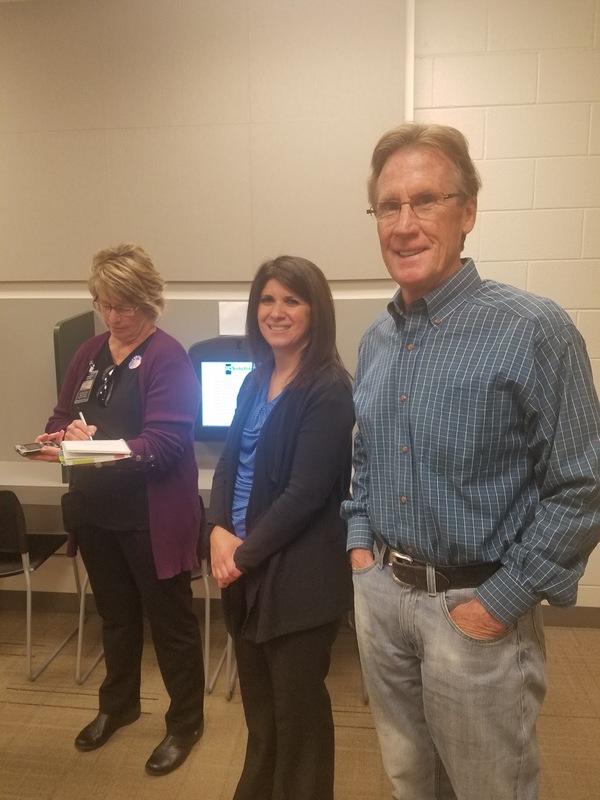 Mesa County Commissioners hosted the first budget town hall Thursday evening at the Clifton Starvin Arvin’s, 3247 F Road. Two more town halls will be hosted before the final budget is adopted. For more information on the upcoming town halls, visit http://blog.mesacounty.us/2017/10/commissioners-host-town-halls-to-talk.html. Mesa County Clerk and Recorder Sheila Reiner along with Mesa County residents attended the budget town hall to hear the commissioners discuss the budget. Mesa County Commissioner Rose Pugliese presents the forecast for the upcoming year's county budget at a town hall in Clifton. 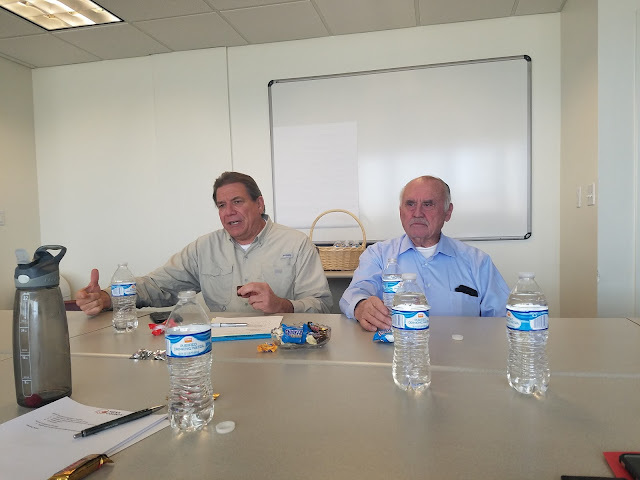 Mesa County Commissioners Scott McInnis and John Justman discuss some of the budgetary challenges Mesa County faces. 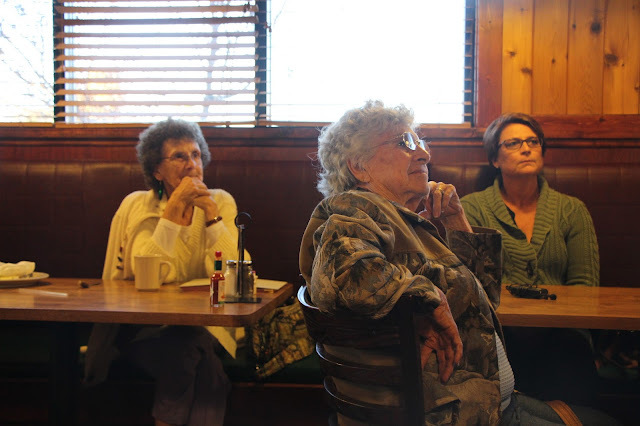 A Mesa County resident reviews county budget documents and partakes in the discussion. Mesa County Commissioner Rose Pugliese multitasks between being a mom and answering questions from constituents at the budget town hall. Mesa County Clerk and Recorder Sheila Reiner shows off her cool kicks (tennis shoes) at the Clifton budget town hall.